Ben's Journal: Show Your Botanical Skillz: What the heck are these? Show Your Botanical Skillz: What the heck are these? At the base of this tree there are various "growths" protruding from the ground. Try as I might, I can't get Google to reveal what they are. Do you know? If so, please share in the comments. My guess is that they are some sort of growth from the main tree. But there's got to be more to it than that. Surely they have a name and a function. Right? Update And I've got my answer! 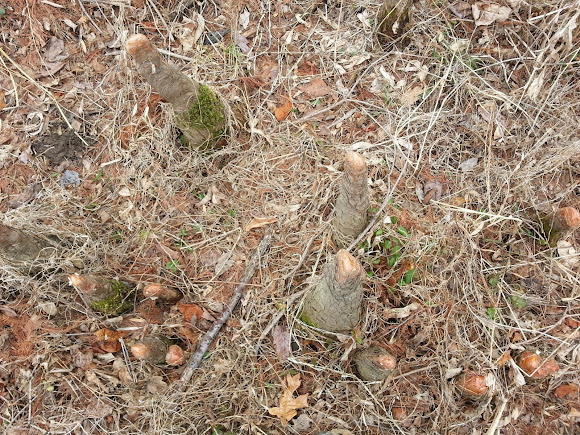 They are apparently Cypress knees. And their use? Apparently, we don't know. Cool! Thanks to Luther and an anonymous commenter that shed light on the mystery. I had no idea the question would yield an answer so quickly. 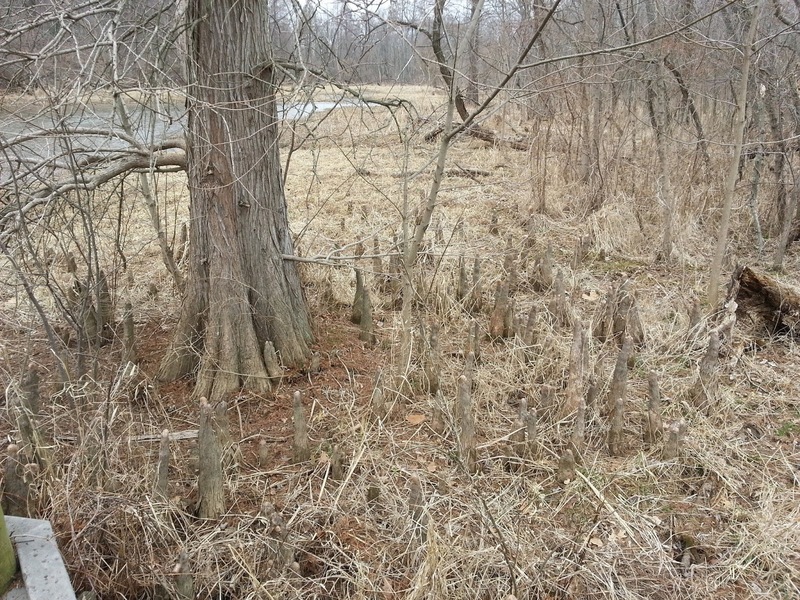 Those are cypress knees. Look it up. Anon is correct: those are almost undoubtedly cypress knees, most likely bald cypress. Thanks guys - that's terrific to know!